Sometimes tablets or smartphones have to contact their big brother for downloading files or controlling the machine. There are some apps I already tested which allow access to computers from anywhere and anytime e.g. iTeleport or VNC Viewer. VNC Viewer for example needs an application installed on the computer which initiates a connection from outside the local network. In most cases the WAN IP isn’t fixed (the provider assigns new IPs from time to time) so that a dynamic DNS service is needed which requires further installation of a DynDNS client. To allow access your firewall has to be configured as well. You can go a much more easier way. The developer is the German TeamViewer GmbH, Goeppingen. The company was founded in 2005 for exclusive development and distribution of web-based communication and collaboration. Widely spread server networks ensure efficient and affordable high performance connections based on geolocation. In contrast to VNC it uses a proprietary protocol which makes the installation quite easy without further configuration of your environment. TeamViewer supports online support, online presentation, web conferences, file transfer, and more. The application is offered in different versions e.g. a Quick Support module. It’s layout can be configured at your convenience e.g. displaying a company logo on the connection dilog. For occasional support sessions the app can be used without installing it. Windows PC (all versions of the OS beginning with Millennium Edition including Windows Server beginning with Server 2000), Mac (OS X 10.5 and later), Linux PC (Red Hat, Fedora, Suse, Mandriva, Debian and Ubuntu Mobile iOS), Android (beginning with 2.2), and iOS (beginning with 4.3). Download the client applications for your computer (Windows, OS X, Linux) and your mobile devices (iOS, Android, Windows 8). I downloaded the latest version 8.0.18051 and installed the PC version on a Windows XP Notebook for private use with the option for accessing the PC from outside the LAN. This feature is called ‘Unattended access’ and allows direct connection from an iOS device to the PC via WiFi or cellular network. Enter a name for your computer as well as a password for unattended access. 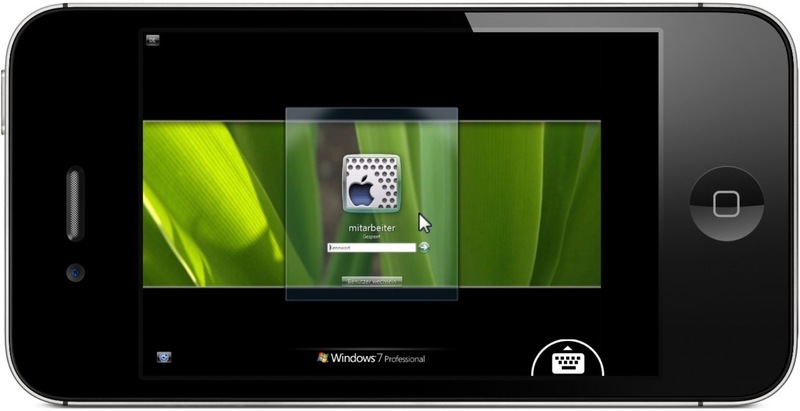 Apply for a TeamViewer account where all devices can be registered. You can use this account for easy access to your computer(s) by just tapping on the device’s name without entering its TeamViewer ID. Registration is free. You will get an E-Mail to confirm your E-Mail address. That’s all. After finishing the installation TeamViewer starts and shows the unique TeamViewer ID of this computer as well as a password. With this generated password your friends can access your computer by opening their own TeamViewer application, enter your TeamViewer ID and the generated password. This feature can be used for example to help your friend if he is faced with problems you are able to fix. If the client version is installed on your PC open the iOS version on your iPad or iPhone and fill in your TeamViewer account credentials. The app shows all your computers. By simply tapping on a computers name the connection is established. From now on you can fully control your computer and even can reboot it. The option ‘Start TeamViewer with Windows’ is activated by default. So don’t worry about loosing the connection after rebooting. 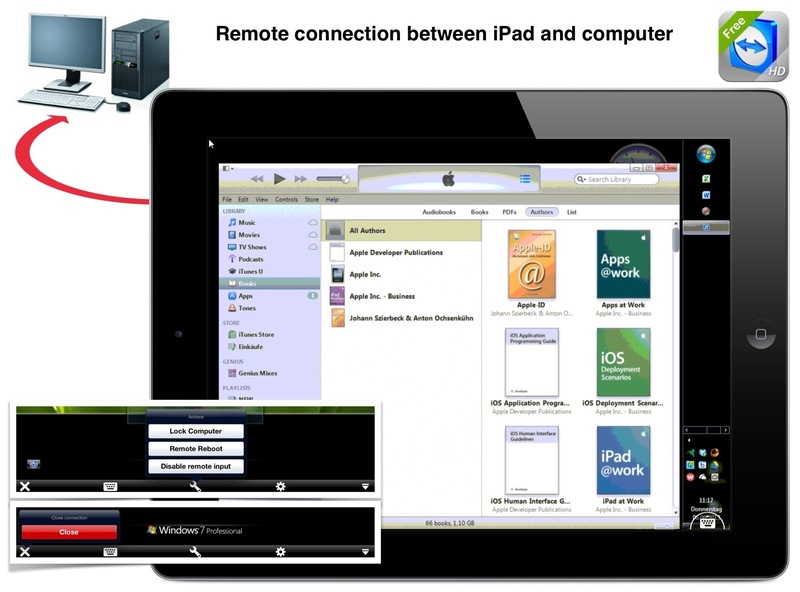 See this image which shows an iPad connected to a Windows 7 PC for remote control. 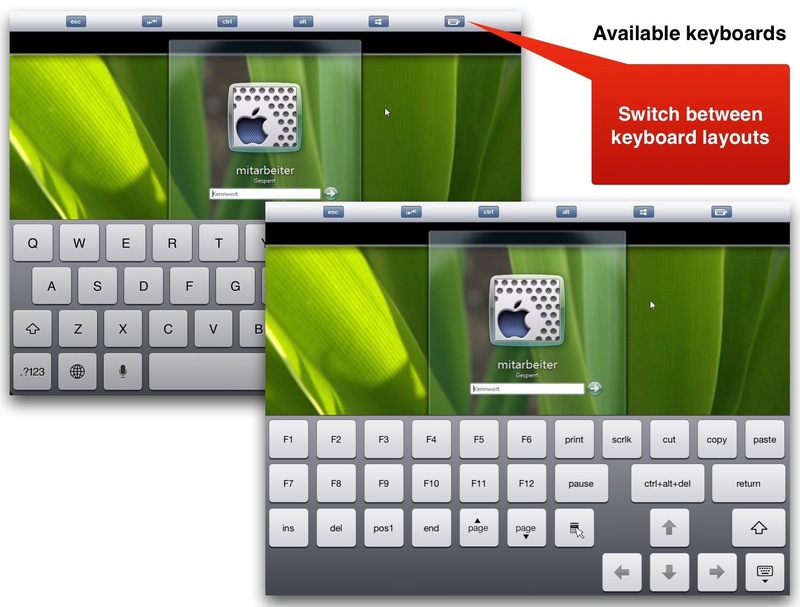 Tap on the control at the lower right side of the iPad screen to pop up the available keyboards. Even with an iPhone basic tasks can be done. 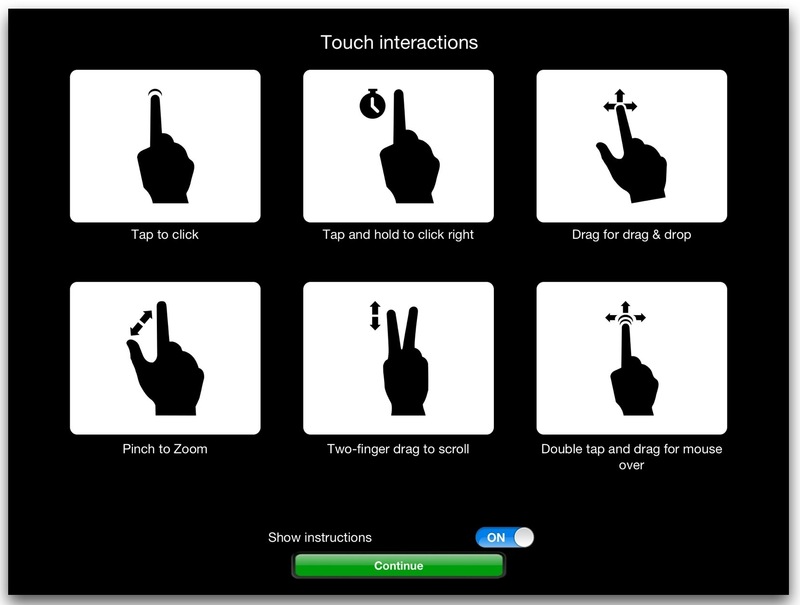 In this case it’s recommended to use the landscape mode and the option Mouse Interactions as the input method because locating the controls on the remote computer becomes easier. All applications for computers are digitally signed with VeriSign Code Signing. That means: The code of all applications is secured by a certificate which identifies the developer. Hacked versions have no chance. Use ‘Invite partner’ to establish a connection to an external computer e.g. the device of your friend. TeamViewer generates an E-Mail containing a link with which your partner can download an application called ‘Quick support’. An installation of this application is not necessary. It just has to be started. Even if you close the iOS app and unlock your device the connection to your remote computer will be kept alive for about 10 minutes. This is the lifetime of an app which is closed and still in the task bar of the iOS device. Concurrent access to a remote computer from more than one device is not possible. On your computer TeamViewer can be opened with start parameters e.g. On your iPad use the ‘Open in’ command in other applications like iWork to forward a file to TeamViewer. Within TeamViewer use ‘Copy to computer’ to transfer files from iPad to your computer and vice versa. TeamViewer is also available as an MSI package for rolling out in domains. Additionally TeamViewer Portable is available and can be directly opened from a USB stick. BTW: Unlike most competitors TeamViewer includes an unlimited number of free hosts with all licenses – you just pay for the supporter license and your remote servers and computers are included for free! With the application QuickJoin, your customers can easily participate in your presentations. Your customers start the QuickJoin module and log in with their session data – ideal for quick and easy online presentations. The QuickJoin module can be customized as well. You can freely select logo, text and colors. In addition you can specify the session data (partner-ID and password) to let the participants connect to your presentation easily with a single click. There are many options available to deploy special configurations. From my point of view TeamViewer is the best app for remotely control a computer, for file sharing, and connecting to your friends computers. It remains by far my favorite remote control and file sharing app. An easy, seamless, and free way to do the things you have to do with the big brother. Try it out. Delete it if it doesn’t meet your requirements but I think this won’t happen. 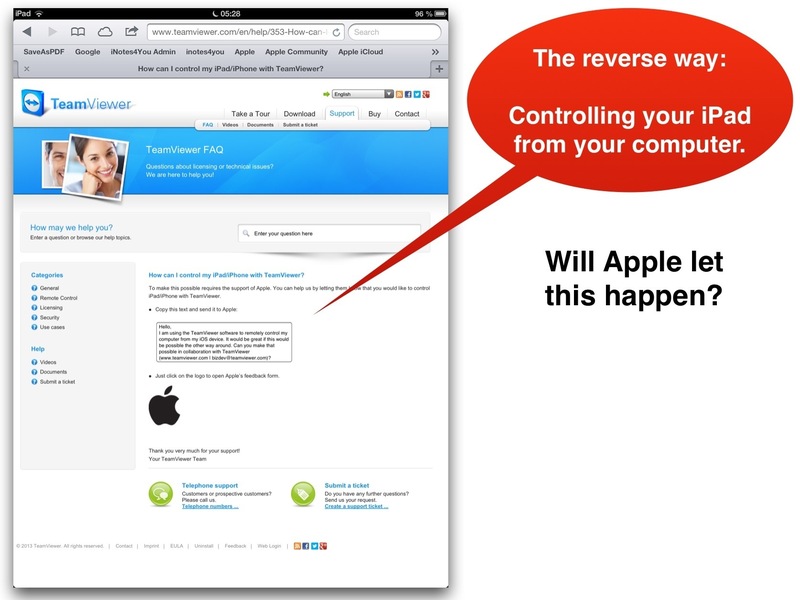 At the time Apple won’t let it happen because of security reasons. But there is a product -also developed by TeamViewer- which enables limited support for mobiles. It’s called TeamViewer Mobile Support released on July 29, 2013. So the app is quite new with some inevitable flaws and it’s too early to review it. TeamViewer is an innovative and reliable company and for sure it will eradicate the issues although they have to accept the limitations set by iOS. See a detailed description coming on September 26 here on iNotes4You.com. Don’t hesitate to contact me via my About page or in comments if you have further questions.